FORT WAYNE, Ind. (WANE) - A Fort Wayne-based paper straw maker is set to hire 100 workers to man a new manufacturing facility. Aardvark Straws plans to hold a job fair Thursday, Nov. 29 from 10 a.m. to 6 p.m. at its new 100,000 square foot facility at 7310 Innovation Blvd. The new plant will open in February 2019. Aardvark was the original U.S. producer of paper straws. 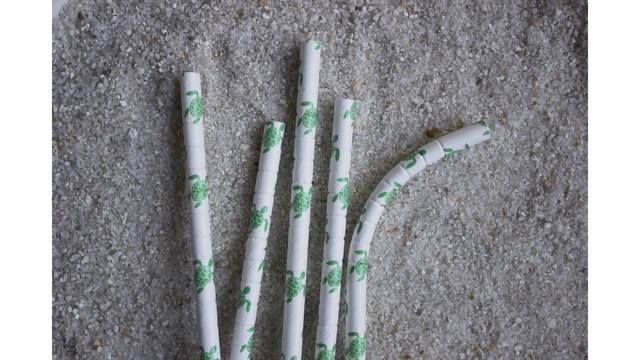 After demand for paper straws swelled this year, the company was purchased in August 2018 by Hoffmaster Group. Hoffmaster said it has been pursuing a 6-9 month expansion plan since. More than 100 manufacturing jobs are needed at Aardvark over the next several months, the company said. During the job fair, candidates will learn more about Aardvark’s career opportunities and interact with current team leaders.